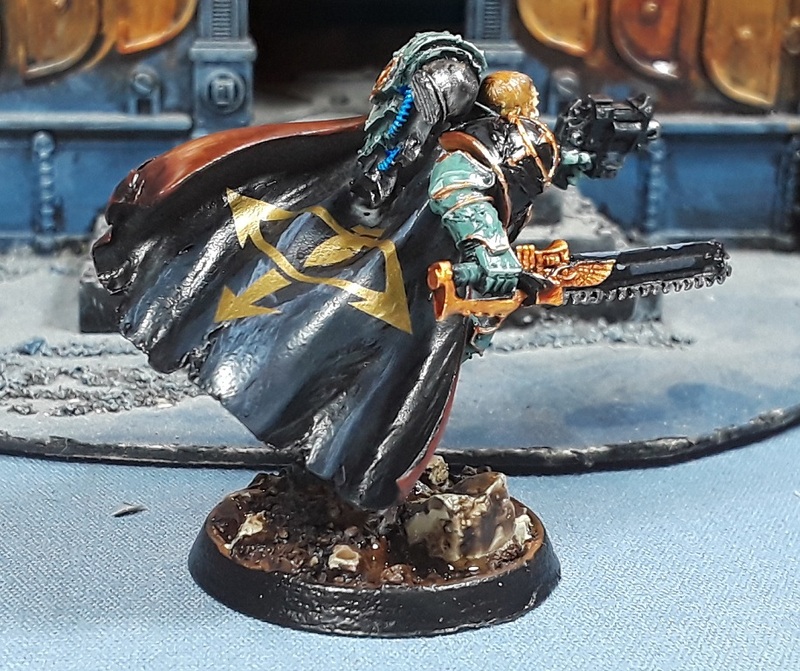 Mordian 7th Regiment: Heresy Era Sons of Horus - More characters and terminators painted! Heresy Era Sons of Horus - More characters and terminators painted! 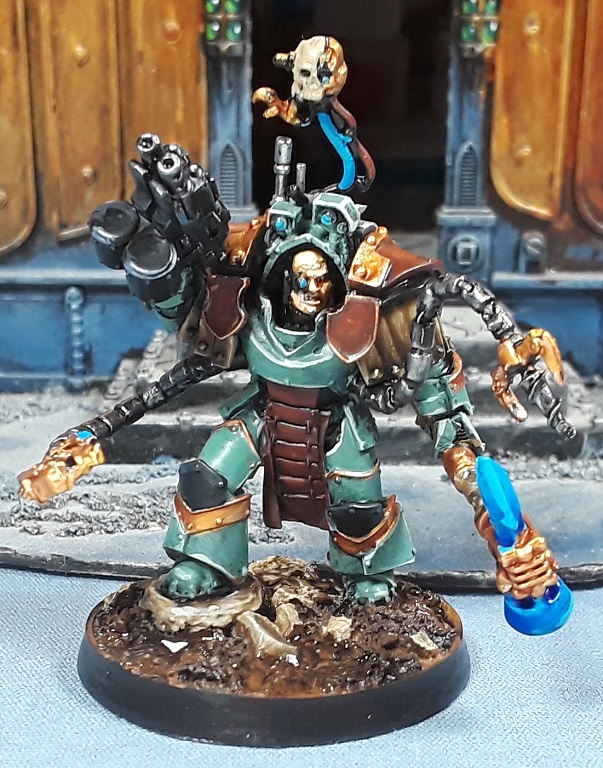 While technically I should be working on finishing the Osiron for Dreadtober, I couldn't help but acquiesce to the siren call of Chaos and work on a few more Sons of Horus as well. Ostensibly switching back and forth between projects has really meant "let the dread sit there while you polish off more SoH." Heh. 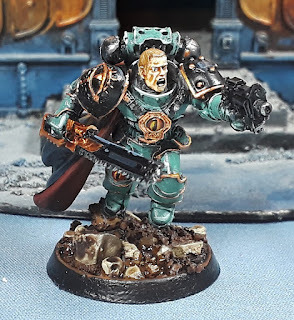 First up is a model not intended for use in the force, Garviel Loken. I'd considered rendering him down for bits, but in the end thought it would be cooler to build out the full vignette between him and Abaddon. It's an interesting sculpt with a vast sense of motion to it! 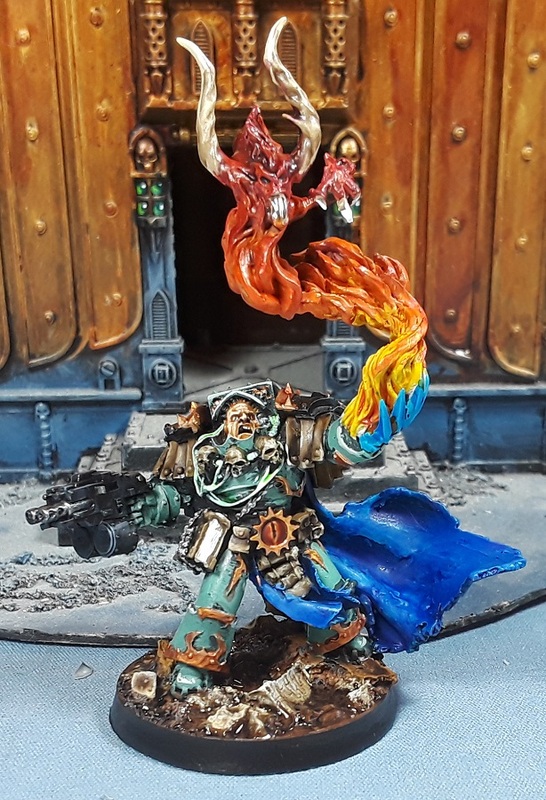 Next up is the Forge Lord, or "Doctor Hexapus" as he was dubbed by a friend of mine. 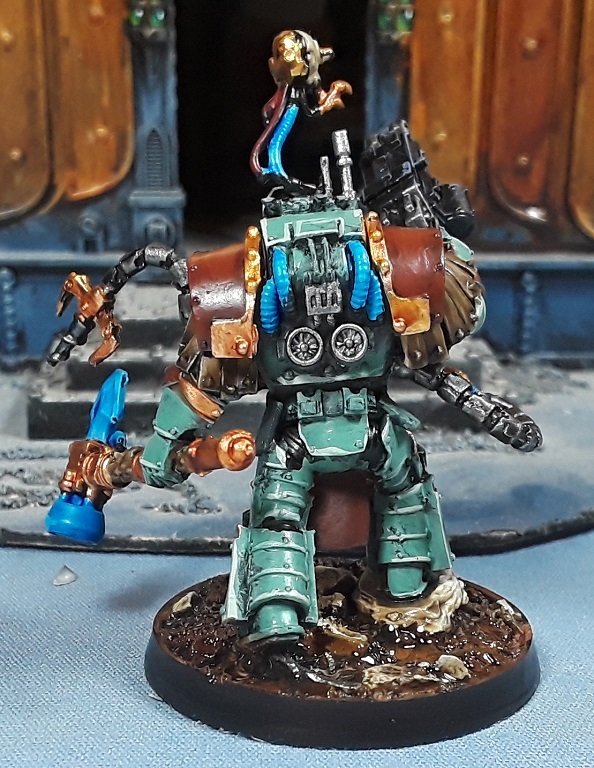 Need to dig up my Mechanicum waterslide transfers for his shoulderpads and shields, but overall rather pleased with how he turned out! 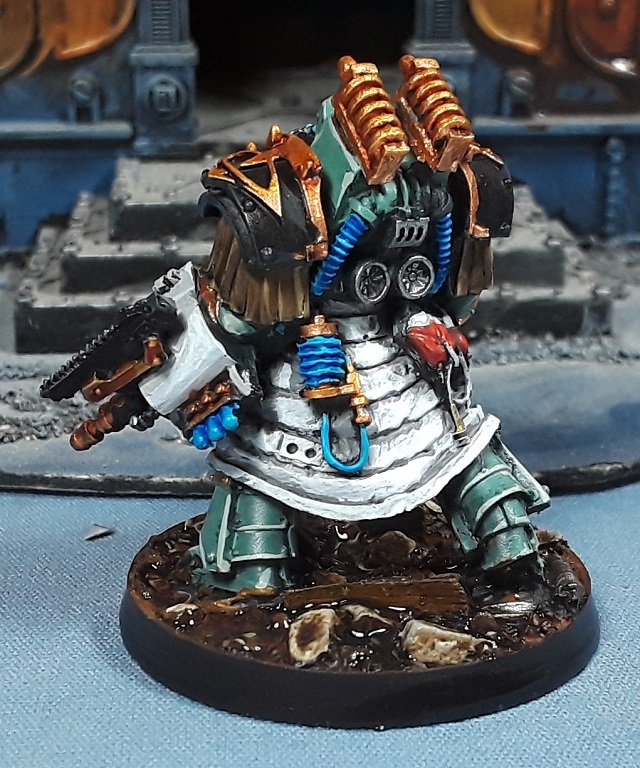 Continuing on with the Terminators, the Primus Medicae is definitely a polarizing sculpt. I'll admit I was pretty cold on it when I first saw it (not that it stopped me from picking up two or three of 'em), but after painting him up I've actually turned around on it and kinda like it! 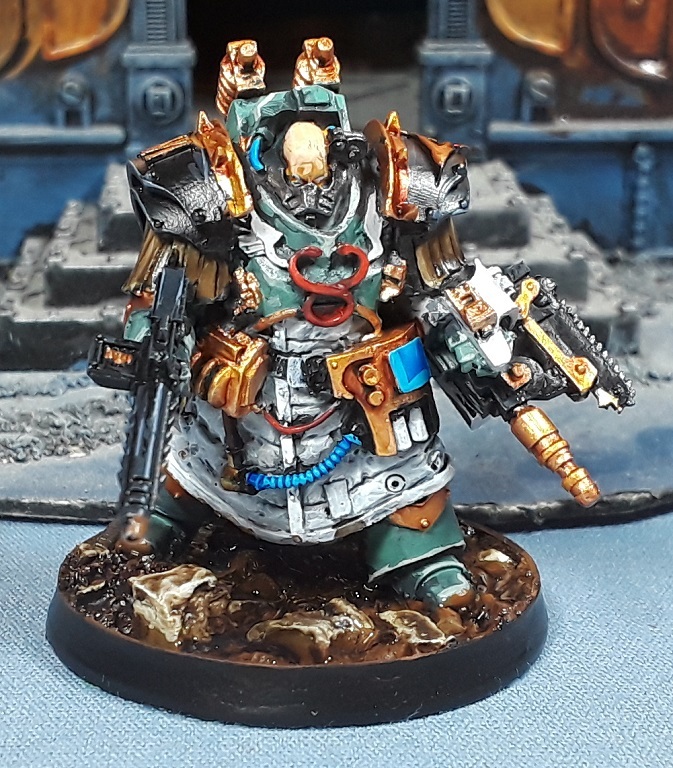 The force needed a Librarian of course, and I was jazzed to finally get a chance to use the event-only model that had been lurking in the Heresy box for years! Another polarizing sculpt that I've grown to love once he was painted up. Can you have too many terminators? 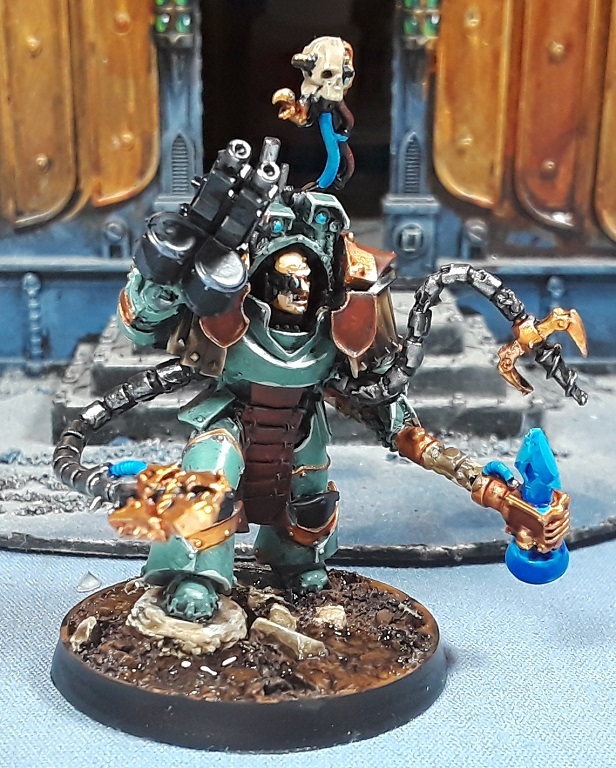 To take advantage of the Sons of Horus's 'Merciless Fighters' rule, a unit of lightning-claw armed Cataphractii were just the thing. I'll likely do five more, but I'll need to order up more shoulder pads first as I'd used most of the second five I'd originally ordered on the other characters instead. Doh! As a reward for all the painting I did get a little build time in and put together a Reaver assault squad. I knew I wanted to give 'em jump packs (as it makes them Bulky which will help them outnumber their opponents for the Merciless Fighters rule), and the MaxMini packs do the trick nicely! 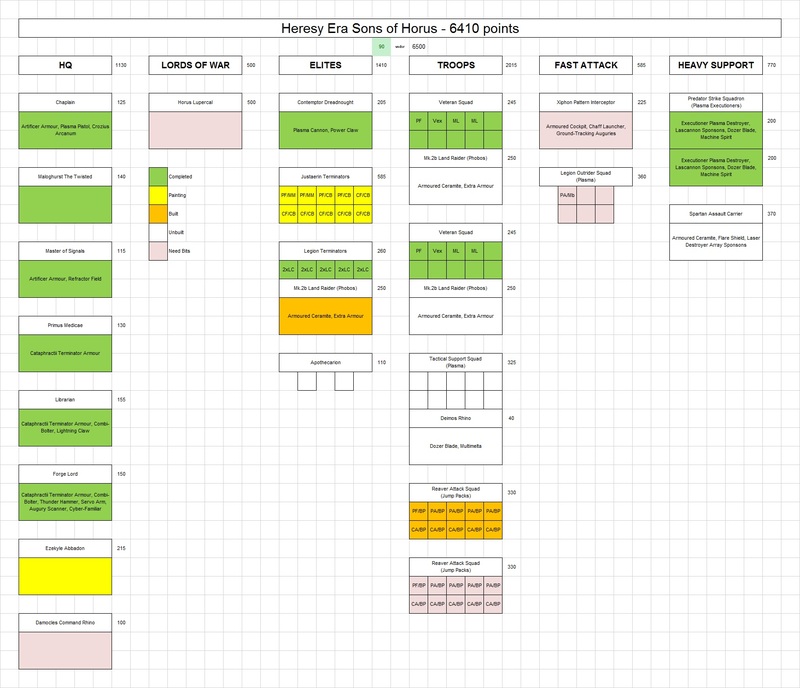 Of course that means it was time to update the painting chart and I'm pretty happy with the progress so far! About 1500 points painted up, a few more on deck and a couple more models that have yet to be ordered but the project is humming right along! Wonderful work on some great sculpts. Those HH models are what the 40k models should've been but aren't. Gorgeous work, love that Apothecary and Libby, really impressive mate. Coming along nicely there. 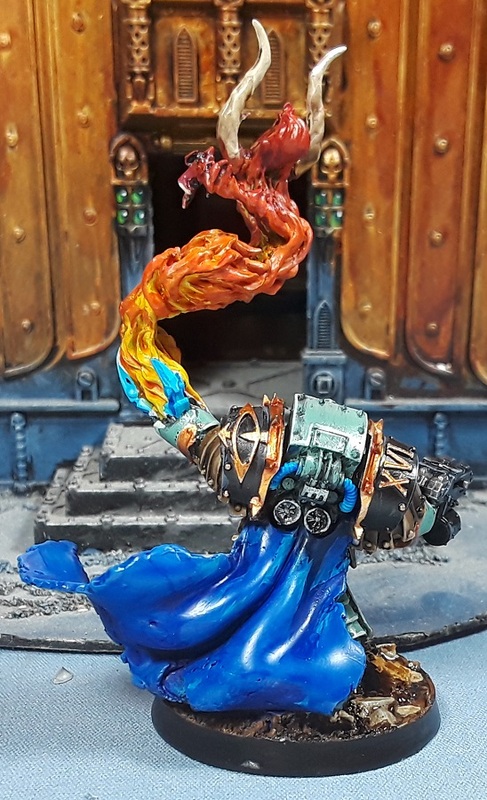 Not a fan of the apothecary model at all I must admit but I do love the sorcerer. Lovely. Your Loken is ace. @Mark: Cheers! I do love the vibe of the heresy line for sure. @Rory Priest: Aye, many of the 'event only' models are very marmite!